Reading time – 6:39; Viewing time – 9:12 . . .
I’m not a registered Democrat, but like Bernie Sanders, I caucus with them. That’s why I’m announcing my candidacy for the Democratic nomination for President of the United States. I thought I’d have more time for this, at least enough to put together an exploratory committee. But what with our never-ending campaigns, I don’t even have time to learn what an exploratory committee does. And there’s no chance to line up mega-donors now, either, because they’re already taken. So, I’m left to make this major announcement via blog post. Good news for you: You’re the first to learn of this. Not even my wife knows about this yet. Man, I hope she won’t be angry. Anyway, Kamala, Elizabeth, Bernie, Amy, Beto, Joe, Eric, Pete, Kirsten, John, Jay, Cory, Julián, Tulsi, John, Marianne, Wayne, Tim and Andrew, it’s nice to be in such a large and non-exclusive club. Worry Announcement, or, Are We Really This Stupid? What do you suppose Americans worry about the most: Illegal immigration? Foreign terrorists? Brown skin people from south of the border or Muslims? Nope, it isn’t nearly that dopey. 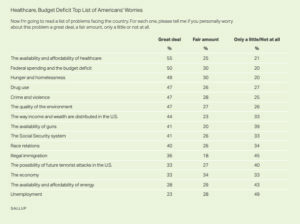 According to a current survey by the Gallup Organization you and I worry about healthcare more than anything else. Take a look at the chart below or, better yet, click on it for an expanded view of the chart and the complete Gallup report. Here’s another. Healthcare is our biggest worry for the 5th year in a row. 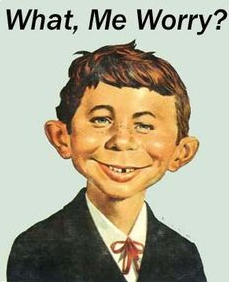 Oddly, our president has decided to do a full court press next year to increase our worry by repealing and replacing Obamacare. There’s just one thing: In the 9 years since the ACA passed the Republicans have tried dozens of times to repeal Obamacare and they haven’t succeeded, even when they were in control of the Senate, the House and the presidency. Even worse – and that’s “worse” as in: both destructive and hypocritical – they’ve had 9 years to come up with a replacement healthcare plan for the “replace” part of “repeal and replace” and they’ve sat on their hands. They have no replacement or even the beginning of an outline for a replacement plan. So, if Trump gets his way, he and the Republicans will repeal Obamacare and replace it with NOTHING. Then some of us will die needlessly, some will go bankrupt and pre-existing conditions won’t be covered, just like it was before the ACA. So, you better worry that if Trump and the Republicans get their way, there will be no replacement healthcare plan and you may have no healthcare at all. The president just announced that we have supplied $91 billion of aid to Puerto Rico, which means that we really didn’t totally blow off the survivors of that terrible hurricane that killed 3,000 Americans. That’s good news, indeed, except for one little detail: the actual, real world, fantasy-free number is just 12% of Trump’s claimed amount. That aid has barely scratched the surface of what’s needed and it hasn’t provided food for the one-third of the population that’s going hungry. Trump continues to astound all sentient beings with his constant lying and his ease in inflicting cruelty on people who desperately need help. Maybe he should go back to San Juan and toss out a couple more cases of paper towels to a crowd of suffering people to once again show his true support. Yet, the Tar Heels are even more creative than that. They’re button-busting proud of the craftiness revealed by the recent indictment of Greg Lindberg, a major political donor, plus a couple of his associates and state GOP chairman and former congressman Robin Hayes for bribery through an insurance scheme. These guys should have known that the FBI has no sense of humor about people lying to them, but lying repeatedly to the FBI is one of the indictments against them, as is attempting to bribe the current state insurance commissioner. U.S. Rep. Mark Walker was identified in the indictments as “Public Official A.” He was the recipient of $150,000 in political donations from Lindberg, but he’s not under indictment. Yet. But just a second: the North Carolina Republicans may not have a monopoly on creativity. The current North Carolina Democratic Party chairman was the insurance commissioner during the time of some of this scandal. We’ll see if he, too, becomes a candidate to be a ward of the state. Stay tuned, as this likely will prove to be the basis of a super hero movie – a Marvel Comics “State Dumb Stuff” thriller, staring Captain Greed. Many thanks to DN for bringing this inspired piece of graft to our attention. It gives us all a renewal of appreciation for the human gift of imagination. That was quite the visual image and just the thing to introduce a new congressional award. In a dignified ceremony on the floor of the House, Speaker Nancy Pelosi began the proceedings by playing a video of King’s remarks. She then recounted his many dalliances with racism, white supremacy and fantasized hate. At last and in a sincere and heartfelt closing, Pelosi recognized King for his well earned award and wished him a fine and very remote retirement beginning in January 2021. Vile, hateful, wacko conspiracy nut case Alex Jones is the defendant in a lawsuit brought by parents of children murdered in the Sandy Hook Elementary School massacre. He’s floating a defense that he has a “form of psychosis” that causes him to believe that certain events were staged. 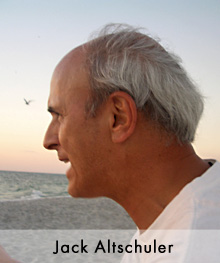 He says his psychosis was brought on by government and media lies, causing him to feel like “. . . a child whose parents lie to him over and over again. Pretty soon you don’t know what reality is.” So, Alex Jones, the grand perp of hateful, harmful conspiracy theories that fattened his wallet dramatically, is a poor victim. Fox and Friends unveiled a new geographic phenomenon when it boldly declared. 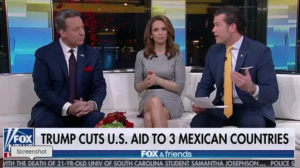 “TRUMP CUTS AID TO 3 MEXICAN COUNTRIES.” That came as startling news to those who erroneously thought there was only one country named Mexico. Live, on the ground in the Valley of Stupid, I’m Jack Altschuler. Nice rant. I loved it. But should I point out the myriad of other examples of stupid that you left out? No, I won’t. After all it’s Sunday morning and I certainly don’t want to upset anyone’s day with accurate, blunt truth. That can be saved for another day. I have confidence that those unmentioned folks will continue with additional future stupid-ness; we can deal with them then.